An aide of Jonathan, Yakasai who was yesterday dragged into $2.1billion Dasuki arms fraud case has started confessing. In an exclusive chat with Vanguardngr, Yakasai mentioned the names of those who benefited from the money he collected from Anenih. 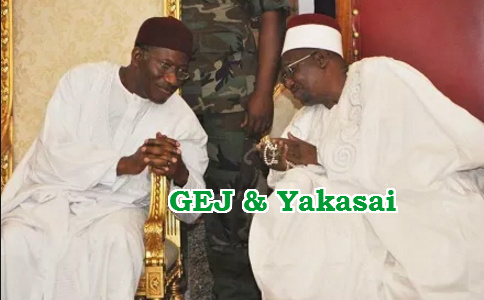 Yakassai was named by Anenih as one of those who benefited from the N260 million he received from the Jonathan administration in a letter he wrote the Economic and Financial Crimes Commission, EFCC. Confirming the receipt of the amount on Wednesday, Yakassai named eight other Nigerians who benefited from the N63 million he got from Anenih. The beneficiaries, according to him, include former Minister of State for Foreign Affairs, Alhaji Mamman Anka, Barrister Bitrus Gwada, Alhaji Suleiman Lawal, Dr. Bahago, Chief John Macklink from Plateau, and Senator Sodangi. The list of traditional rulers visited by Yakassai and his team includes Emir of Anka, Emir of Ilorin, Emir of Nassarawa, Minnie, Bauchi, Zuru, Kebbi, Katsina, Dutse, Hadejia, Representatives of Emir of Daurawa, The Tor Tiv, the Gwom Gbom Jos, Ohimege Igu, Kotonkarfe, Etsu of Abaji, Etsu Nupe and Atta Igala. “Yes, myself and eight others collected N63 million from Chief Tony Anenih to pay advocacy visit to prominent northern emirs to mobilise their subjects for a hitch free 2015 general elections. 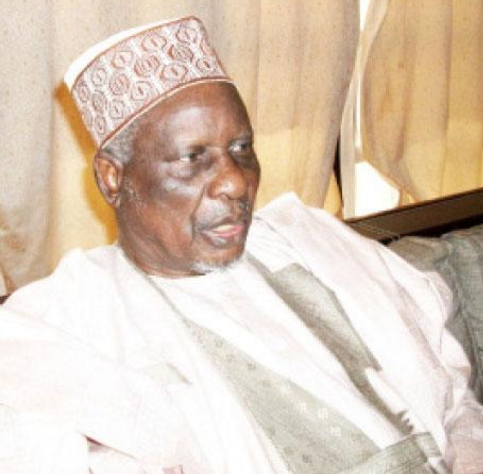 “I want to make it abundantly clear that I didn’t receive money from Chief Anenih in my private capacity as Tanko Yakasai but to patriotic individuals who are interested in the peaceful coexistence of the polity,” he reportedly said. The amount, he said, was meant for the hotel, transport and sundry allowances of the beneficiaries to the emirs and traditional heads. These politicians are crooks, why use arms money for political bribery. Jonathan has a lot of questions to answer. God bless you for speaking nothing but the truth. Old men looting the nation dry. I’m glad that none can take these ill-gotten wealth to their grave. We’ll all survive. Nawah,thank God that d Pdp didn’t win d Last general election. Completely short of words to describe this impunity. Let d law take its full cause on defaulters. THOSE PROBING SHUD NOT FALL INTO D SAME TEMPTATION SHA .WHERE IS D RECOVERED MONEY GOING TO ?D SAME MERRY GO-ROUND ? PLS ,USE D MONEY TO DEVELOPE D ROADS , AND RECONSTRUCT DELAPIDATING SCHOOL BUILDINGS .